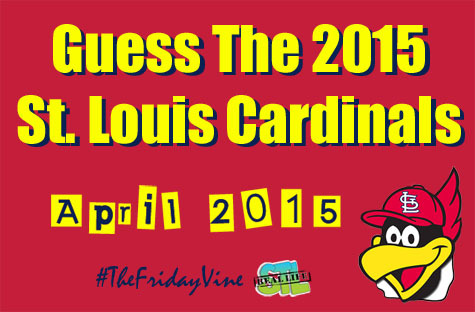 The Friday Vine March prize is… Two (2) tickets to watch the 2015 St. Louis Cardinals play the Arizona Diamondbacks on May 26. Each week, we’ll give you some clues and you enter the current St. Louis Cardinals ballplayer you think we are talking about. It’s that simple. We’ll pick the winner on April 24, 2015.